Hmmm, so I guess we have to wait for part 3 to learn about the ‘suitcase of courage’, ‘dancing on the pedals’ or ‘the elastic has snapped’ et al. Can we skip the bit about Gate next time? More Spartacus and less Gate…I’m quietly confident I can do that. Please tell me more about the utterly insidious lameness of that ad (I don’t even know what they’re spruiking) that has the guitar and the couple in their 30s driving down the coast for a sunset in a convertible. In it’s defense it does mean there is at least 30 seconds when that ‘spontaneous romantic moments can happen any time’ ad for erectile dysfunction isn’t playing. how dare thy speak ill of the legs of such giants such as the mighty Spartacus. that man is a beast. ok never mind for the most part they do look like concentration camp victims from the waist up. whats up with all of the mens special little helper pills though? I assure you, as President of the Fabian Cancellara Appreciation Society, I would never speak ill of him or his legs. 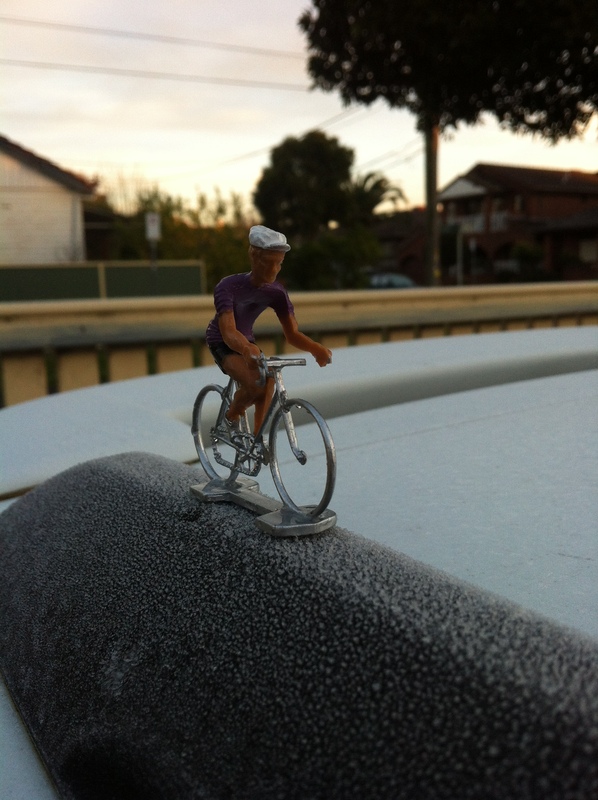 I was one of very few Australians hoping he would win this year’s Milan-San Remo. As for the special little helper pills for men…there’s no greater sign that cycling is the new golf, than advertising in the tour de France focusing on erectile dysfunction. This was funny and informative. Thanks Breece for sending me here when clearly it just wasn’t getting though when you explained it. PS i think that ad is for insurance of some description.